With a recent report calling out the need for Caltrans to focus less on building highways and more on letting cities build people-friendly streets, state legislators have an eye trained on the agency’s progress towards reform. 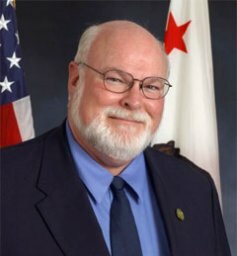 The California Senate’s Transportation and Housing Committee held a hearing yesterday to discuss the new report [PDF], conducted by the State Smart Transportation Initiative and commissioned by the California Transportation Agency (CalSTA), which was formed by Governor Jerry Brown and CalSTA Secretary Brian Kelly last year to oversee all of the state’s transportation agencies. The report is sharply critical of Caltrans’ “archaic” practices when it comes to imposing automobile-centric design standards on city streets, and says the department should reform its risk-averse culture, which often prevents local city planners from implementing modern designs for bicycle- and pedestrian-friendly streets. Two of the report’s authors, Joel Rogers and Eric Sundquist of SSTI, presented their findings to the committee, arguing that the way Caltrans is currently structured prevents it from helping meet state goals like reducing greenhouse gas emissions, improving transit networks, and building complete streets. A complete, systemic reorganization of the agency is their recommended solution. Committee Chair Mark DeSaulnier (D-Alameda/Contra Costa) expressed alarm at Coffman’s assertion that few suppliers and contractors are willing to bid for Caltrans jobs because they don’t trust the agency. “That says to me that the quality of the bids we do receive is probably not very good,” he said. This is not the first official report recommending major changes at Caltrans, and it’s unclear whether this one will garner results or sit on the shelf with the rest. The fact that several committee members wandered in late and some didn’t show up at all could raise some doubt about the legislature’s commitment. Rogers called himself “cautiously optimistic” that Caltrans can change, for several reasons. CalSTA now provides unprecedented oversight by the governor and Secretary Kelly, who appear committed to bringing substantial change to the agency. There is a “collective hunger among Caltrans staff to modernize the department’s mission and clarify the vision and goals to meet that mission,” Kelly said. Asked what the legislature’s role could be in reforming Caltrans, Rogers recommended reducing the number of written reports it requires Caltrans to produce every year. “This endless reporting is probably not the best use of resources,” he pointed out. 1. Develop a new mission statement, vision statement, and goals. The authors say this can be done in the first month. Skepticism rears its head upon hearing this, but according to Secretary Kelly, work has already begun on this. 2. Organize teams to develop action plans and performance measures, which should supersede or absorb other similar initiatives such as ongoing strategic and long-range planning efforts. The authors give this a timeline of two to six months. 3. 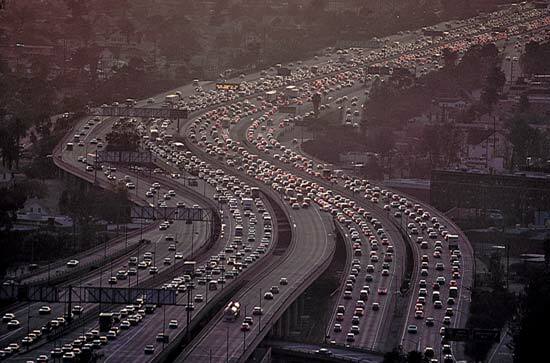 Work to ensure the success of CEQA reform rulemaking for SB 743, including the removal of Level of Service, a car-centric transportation planning metric. “SB 743 could do more to advance state planning goals than anything else Caltrans has done,” the report says, and a “successful rulemaking, leading to a predictable developer fee based on transportation system use…would put California and Caltrans back at the leading edge of modern transportation practice.” A timeframe of between one and five months is assigned to this one, with a July 1 deadline for draft guidance to be completed. 4. Modernize state transportation design guidance. Of course, this isn’t necessarily a short-term effort, but the authors urge the agency to remove the “archaic” rule that imposes state standards on local streets for bike lanes. 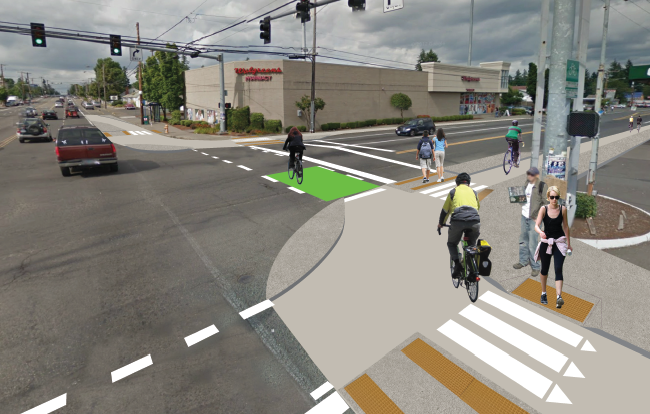 The report suggests adopting modern standards such as the NACTO Urban Street Design Guide within a few months. Hopefully this all will be well-heeded. Caltrans *is* thoroughly archaic. I wonder if this report also addresses the issue of making it easier for communities to implement so-called “experimental” bike infrastructure. 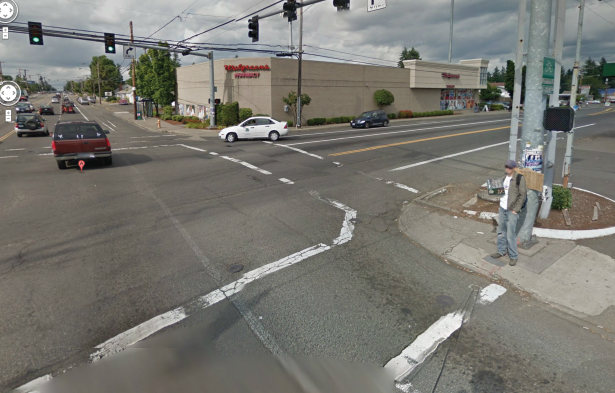 For example, while NACTO now recognizes cycletracks, it doesn’t have very good recommendations for intersections. What if a community in California wanted to demo a treatment like this? Caltrans should also not just be playing catchup to NACTO but also be allowing for these kinds of designs to be tested, validated for the local market and implemented. Friday Fun: Caltrans Blows Up a Boulder!